According to a recent study, about 79% of Americans have shopped online, and about 15% do so on a weekly basis. Whether you own a brick and mortar store that is slowly embracing the world of e-commerce or a web-based company that relies solely on online sales, there is plenty of profit to be made from selling online. As a leader in fulfillment and distribution services for e-commerce companies, we've learned a few things over the years about how to make a sale online, and how to keep your customers happy through the order fulfillment process. Countless online retailers have reported that offering free shipping with conditions such as a minimum purchase amount has increased their sales volume and revenue. A 2015 study conducted by comScore and UPS found that 52% of American online shoppers have added items to their cart to earn free shipping. 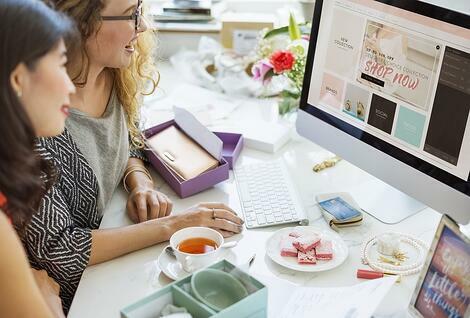 Another recent study showed that online shoppers rated free shipping as more important than fast shipping, while only 2.5% say fast shipping is more important. (Around 47% say both are equally important). With free shipping becoming the norm, customers now expect it. Offering this is a convenience to your customers, and helps them more accurately anticipate their total cost. Using conditional free shipping, such as free shipping with a minimum purchase, is a good way to make sure it's worth your while to cover shipping costs. On the other hand, offering fast shipping is unlikely to produce the same results. The offer of express shipping a good option to give flexibility to customers, is less likely to entice customers to spend more. Plus, if a customer pays for express delivery and the shipment is delayed for a reason beyond your control, such as a problem at the post office or shipping company, you run the risk of angering your customers. One way to lower shipping costs is to partner with a 3PL provider. When vetting order fulfillment partners, pay close attention to their relationship with delivery partners. The fulfillment center you partner with should have strong communication with all major shippers and have negotiated discounted rates that they pass on to their clients. Keeping your items in stock and ready to ship in a timely manner is essential to keeping your customers happy. If a product that your customer wants is unavailable through your website, they are very likely to look for an alternative way to purchase that item. One of your competitors might get the sale, and your former customer's repeat business. This isn't just about one sale - it's about building a rapport with your customers and letting them know that you can be relied upon to have what they need. With millions of online retailers out there, it is vital that you earn your customers' business as soon as you can - and the best way to do that is to have what they want, when they want it. To eliminate preventable backorder situations, it is vital to have a reporting tool that provides insight to current inventory levels. Automated reorder reports should be scheduled to notify your team when inventory levels are low to prevent a backorder situation. Check out our robust reporting solution, PBD SmartReports, for more information on reporting features e-commerce companies should be utilizing to help provide a great order experience. 1. Company sells one of Item A for $40.00 (margin $20.00) with a flat-rate shipping fee of $10.00 for one item (shipping cost is $13.00). 2. Same company sells two of Item A for $40.00/each (margin $20.00/each) with flat-rate shipping for two items being $15.00 (shipping cost is $16.00). As you can see, the first scenario produced a margin of $17.00 while scenario two produced a margin of $39.00. Even though your package weight was higher for scenario two, your actual shipping cost only goes up slightly. Also, by placing one order for two items versus two orders for one item, you are cutting down on fulfillment related costs such as packaging and fill. This is a great reason to offer your customers an incentive to fill up their carts. Incentives like discounted "add-on" items or buy one, get one 20% off are smart marketing tactics that help boost sales and lower expenses, saving you fulfillment and shipping dollars! We've all heard of the famous 1995 social experiment conducted by a business professor tested how the number of options available to shoppers impacted the shoppers' likelihood of making a purchase. Customers in a shopping market were presented with either six or 24 different jams and given a coupon and an opportunity to sample the jams. According to the New York Times, "Sixty percent of customers were drawn to the large assortment, while only 40 percent stopped by the small one. But 30 percent of the people who had sampled from the small assortment decided to buy jam, while only 3 percent of those confronted with the two dozen jams purchased a jar." More options will likely get your business a larger audience and high page views, but a very small percentage of those views will ultimately make a purchase. Having a smaller selection will likely get you fewer visitors, but those visitors will be much more likely to fill their cart and complete a checkout. Having too many color options, style or fabric choices, size options, etc. can give your potential customer decision anxiety. Psychologists and economists alike agree: when people have too many options to choose from, it is easy for them to become overwhelmed and either freeze and make no decision or purchase, or choose something that is not actually what they want. If you want to discuss ways to grow your online business while providing customers an exceptional order & delivery experience, contact us today.